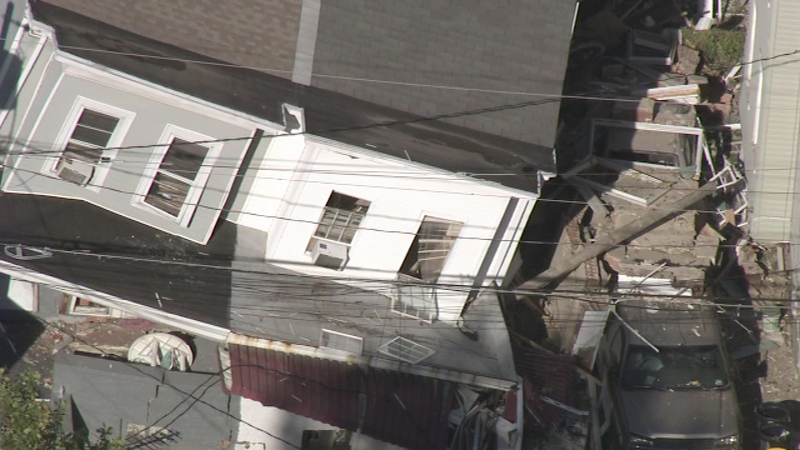 Crews on the scene of a partial house collapse in Trenton, New Jersey. 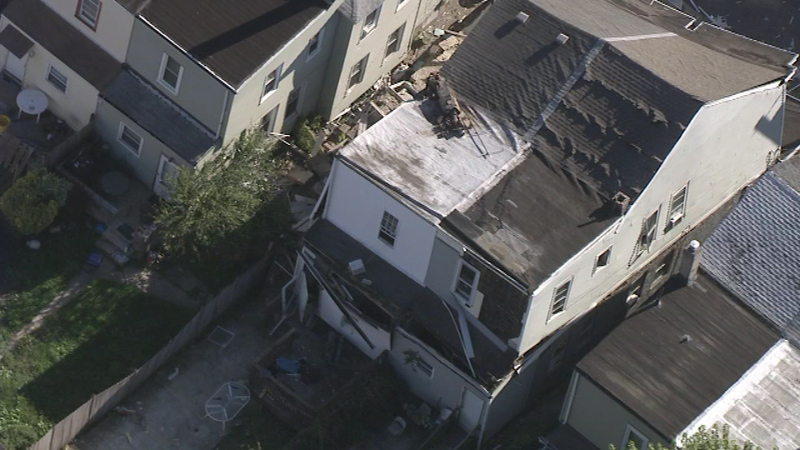 TRENTON -- Emergency crews responded to a partial house collapse in Trenton, New Jersey following reports of an explosion. The reports came in around 3:15 p.m. Wednesday on the unit block of Wayne Avenue. 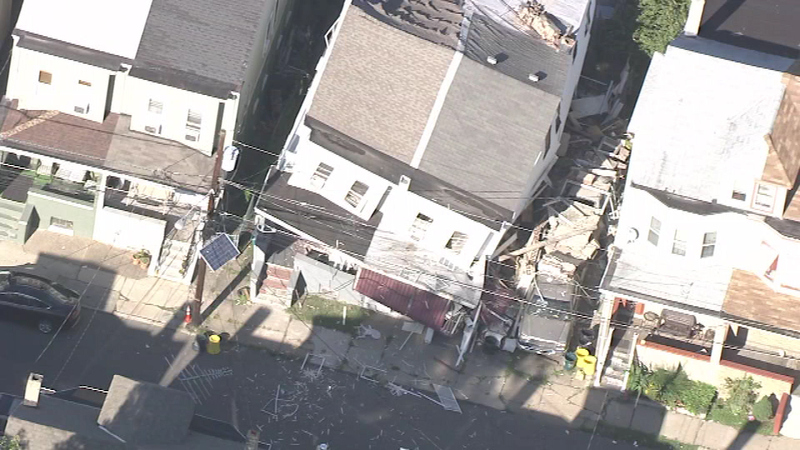 Emergency crews responded to an explosion and house collapse in Trenton. 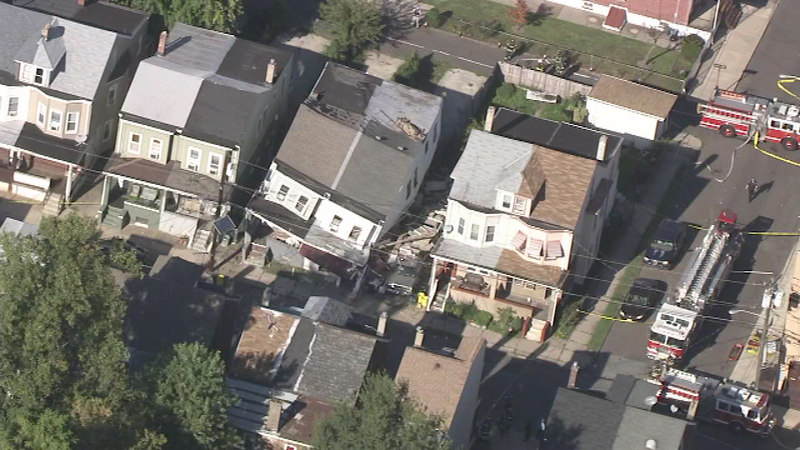 "I was asleep and I heard this loud boom. I jumped up and asked my granddaughter, 'what was that?' She ran to the window and saw the house down," neighbor Elizabeth Bradley said. "I was in the kitchen cooking and basically, I felt my entire house shake and all the power went out," neighbor Trashawn Collins said. 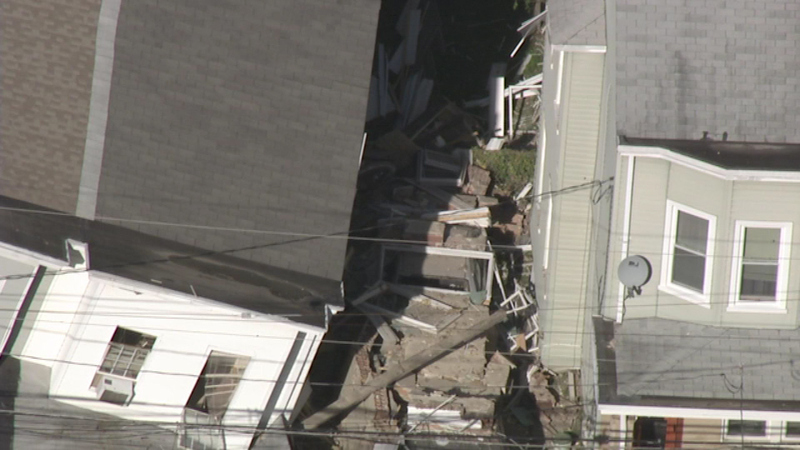 The twin homes affected are said to be 46 and 48 Wayne Avenue. The block was evacuated. 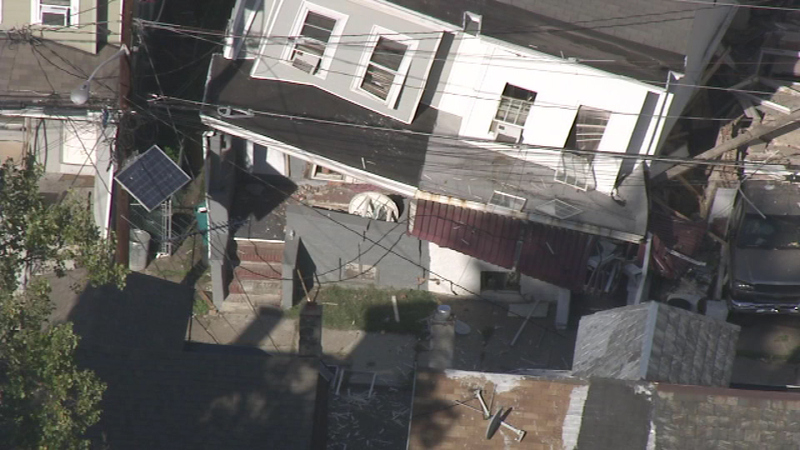 Chopper 6 over the scene of a house collapse in Trenton, NJ. 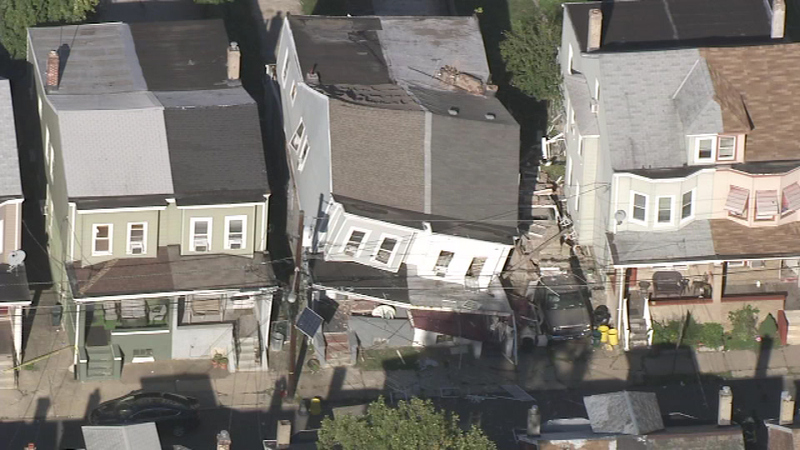 One of the homes was vacant; the other was occupied by three people. Some neighbors say they had to break a window to get out. 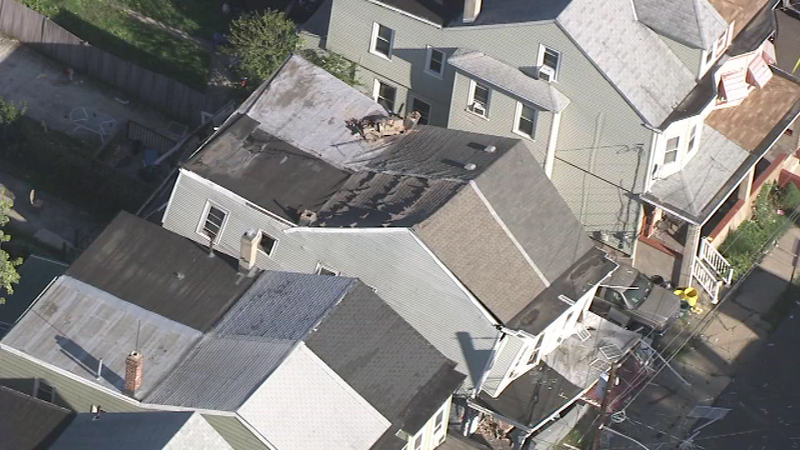 The fire director says it appears the explosion caused by a natural gas leak originated in the rear of the house that was occupied. 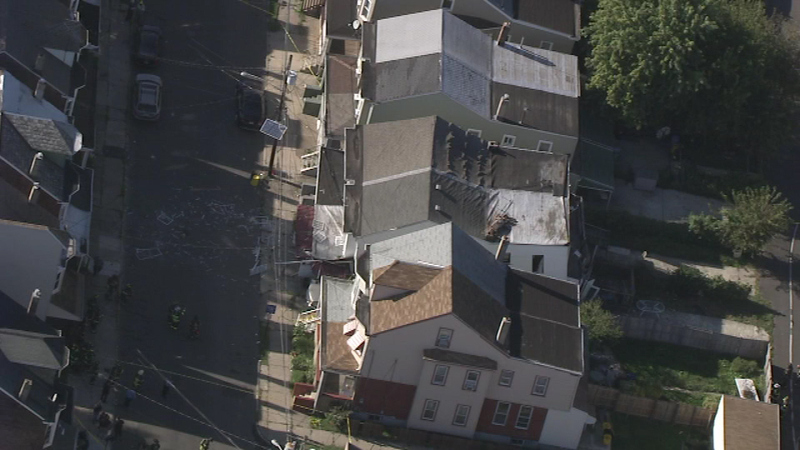 One of the occupants suffered scrapes and was taken to the hospital, but is expected to be OK.
An explosion in Paterson, New Jersey on Tuesday destroyed two homes, left 38 residents home, and 10 firefighters suffered minor injuries.